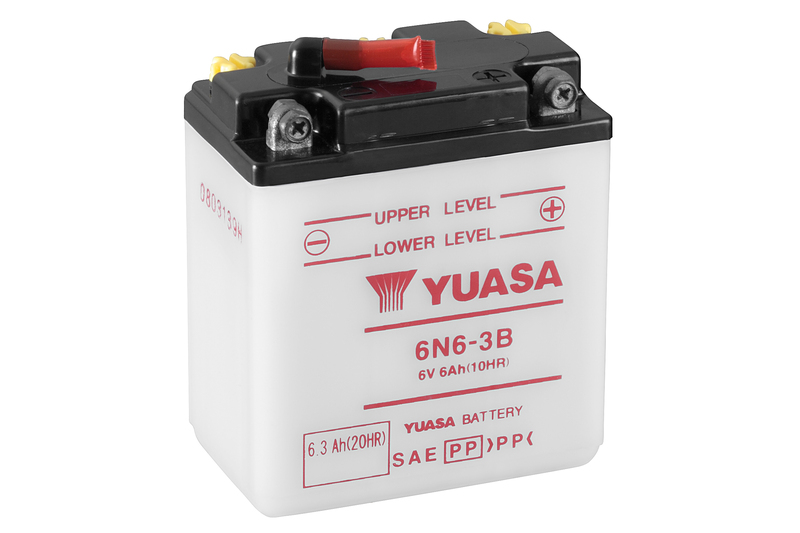 The Yuasa 6N6-3B is a high powered 6 Volt 6Ah motorcycle battery. Mostly Suitable for Honda and Malagutti brands. Please see Motorbike Fitment tab for the full list. charges, especially during winter months. I ordered a battery for my motorcycle, It arrived. I'm happy and its working like a charm on my motorcycle. Battery is performing well and is extremely easy to top up and maintain.